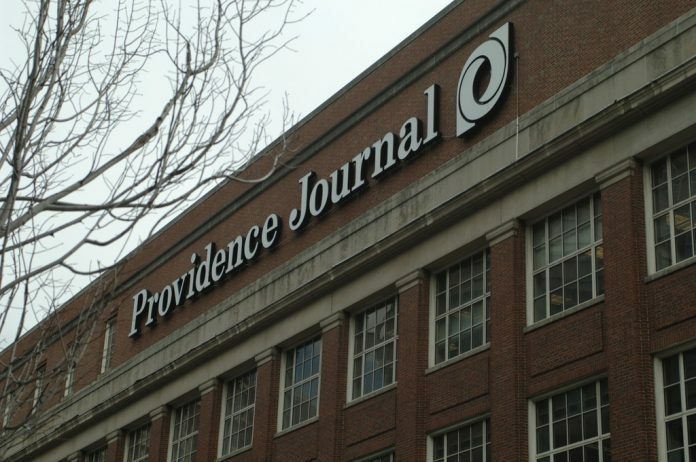 PROVIDENCE – New Media Investment Group Inc. paid Kirk Davis, its chief operating officer, $1.7 million in 2018, slightly less than what Davis earned in 2017, according to a proxy statement filed Friday. Davis was reported to have a $550,00 salary and received $400,000 in bonuses, $750,000 in stock awards and $3,092 in 401(k) contributions for the year. New Media is the parent organization of Gatehouse Media Inc., which itself is the parent company of The Providence Journal. The salaries for the company’s president and CEO, Michael E. Reed, and the company’s former chief financial officer and chief accounting officer, Gregory W. Frieberg, were not included in the proxy statement, as the men are employees of Fortress Investment Group LLC, the investment management firm that oversees New Media. New Media paid a combined $24.3 million to Fortress in 2018, including $10.7 million in management fees, $11.1 million in incentive compensation and $2.5 million of expense reimbursement. The company also paid its independent directors, Theodore P. Janulis, Kevin M. Sheehan and Laurence Tarica, $160,013 each. Directors, nominees and executive officers for the company owned a combined 1.8% of the company. Blackrock Inc. owns 14.7%, The Vanguard Group Inc. owns 10%, Dimensional Fund Advisors LP owns 7.4%, Franklin Mutual Advisers LLC owns 5.3% and Leon G. Cooperman owns 4.2%. Fortress and its affiliates owned approximately 1.1% of the company at the end of 2018. The company paid dividends of $1.49 per share of common stock in 2018. There were 60.5 million shares outstanding at the end of the year, meaning that the company paid dividends totaling $90.1 million on the year. The company is known for acquiring publications and laying off workers, although the company is not the only large investment group engaging in this practice in the United States. New Media Investment Group had 10,638 employees nationwide at the end of December, slightly more than 10,516 one year prior. In 2018 alone, the company acquired seven business publications, eight daily newspapers, 16 weekly newspapers, one shopper, a print facility, an events production business, cloud services and digital platforms and related domains, for an aggregate purchase price of $205.7 million. The company said that as of the end of December it published 146 daily newspapers and 331 community publications. The company reported net income of $18.2 million in 2018, amid widespread layoffs at its owned publishing properties around the country, including employees at local properties. At the same time, same-store revenue fell over the year by 5.3 percent, after removing the effects of the company’s acquisitions. The company owns and operates several local publications through GateHouse Media, including the Journal, Newport Daily News, Fall River Herald News, Taunton Daily Gazette and the New Bedford Standard-Times. Chris Bergenheim is the PBN web editor. You may reach him at Bergenheim@PBN.com.